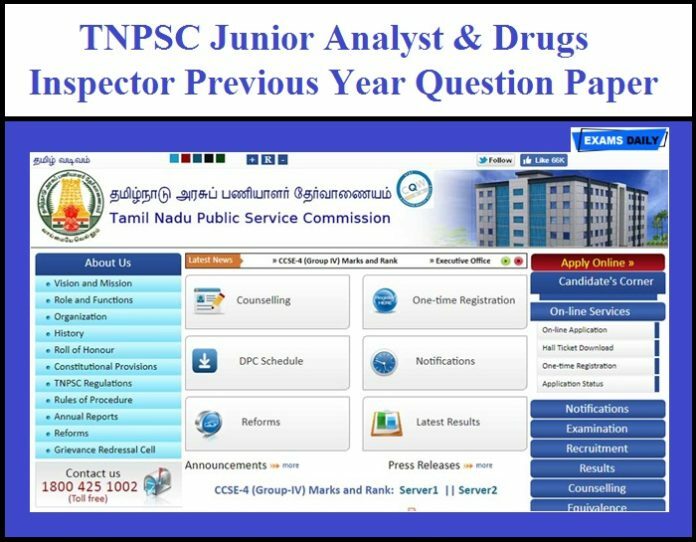 Tamil Nadu Public Service Commission (TNPSC) has released Notification for the post of 49 Junior Analyst & Drugs Inspector. Applications are invited from eligible Candidates. Candidates can apply online from 12.04.2019 to 12.05.2019. Here we given Previous Year Question Papers for Junior Analyst & Drugs Inspector. Download Drugs Inspector 2009 Previous Year Question Papers……! Download Junior Analyst 2008 Previous Year Question Papers……!